Welcome to our blog! We are today's stop on the Belonging Blog Tour hosted by Kismet Book Tours. Author Karen Ann Hopkins has written a guest post on the dangers of Amish life, we have our reviews of this series, and there is a giveaway. Most people don’t realize how dangerous living the Amish lifestyle is. They assume that the Plain people’s simpler lives translate to a cozy and safe existence, which isn’t the case at all. Putting aside automobile-buggy accidents, which are common in Amish settlement areas, just handling and training equines on a daily basis can present safety problems. There are inherent dangers working with horses, but when you figure in that the Amish spend much more time around them, relying on them for transportation, the accidents involved are greater than the average hobby rider. In the Amish world, it isn’t uncommon for a seven or eight year old child to be harnessing up a pony or horse and taking the animal up the road—BY THEMSELVES. The Amish kids grow up quicker than other children and I’ve witnessed youngsters on the roadways many times with the control of a horse in their hands. 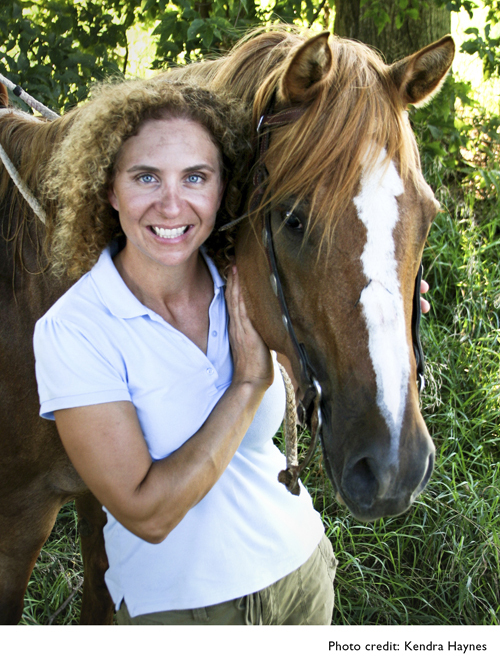 Since the children don’t have the same quick decision making skills that an older person would have, they sometimes make mistakes that result in injury while handling their steeds. Just a couple of months ago, I discovered my mailbox was torn down one morning. My first thought was that some non-Amish teens must have hit the box in the night, but that day, a young Amish man came to my house and apologized for running over my mailbox with a new horse he was training. The horse acted up and he lost control. He replaced my box, but the incident is another example of the safety concerns for the Amish when working with horses on a daily basis. Adding to the dangers for Amish youth is the fact that they oftentimes do work meant for adults, such as butchery, building, fencing and farm work. In my own neighborhood, a girl lost part of a finger working in the butcher shop, another girl poked her eye with a fence wire and lost sight in that eye, and several boys have been injured doing carpentry and farm work. When I moved to the northern Kentucky Amish settlement, I was immediately surprised by the number of accidents and injuries occurring to my neighbors and their children, but the Amish take it in stride. They have a Calvinist approach to the dangers in their world, believing that if God means it to happen, then it’s a done deal anyway. Attraction. Connection. Forbidden. I've read novels about forbidden love but none have featured an Amish person as part of the couple. In Temptation, we watch English teen girl Rose, 16, and Amish teen boy Noah, 18, fall in love. She moves with her family to a house next to his farm. From the moment they meet, their attraction is instant. Coming from two different worlds it was imperative readers understood both sides of this blossoming relationship and author Karen Ann Hopkins gave us both character's points-of-view. Rose is wild, fights with her brothers, has mobility to do what she wants while Noah has a more rigid life with responsibilities and ways of living, believing, behaving. He is accustomed to the males being in control, the female more subservient. Rose gets what she wants from her dad and is not used to waiting on or standing behind anyone. As they grow closer there are some clashes of backgrounds but love is a very powerful motive which can help sway one's mind. Both acted out at times infuriating me with their behavior and ultimately it's Rose who seems to make the bigger concession because she loves Noah. The author's style of writing was smooth and the pacing fluid. I understood these characters and what they're experiencing. I did find some of the dialogue of the Amish youth in some scenes sounded too contemporary for a people who don't have access to the conventions of popular society. I also felt Rose was vulnerable at this time after the death of her mother and Noah was her first crush/love which helped sway her. First she was adamant in her belief of starting a family later in life, then switches to thinking having kids with Noah soon was okay. Her frustrating sudden change took some getting used to. Decisions. Acceptance. Responsibilities. Adjustments. In Belonging, we now see how Rose has to adjust to a new life after the decision she made. The Amish may welcome her but it's not that easy. She has to prove she belongs with Noah, can be a part of their community and there are some members who are not so accommodating, they believe she isn't one of them. But author Karen Ann Hopkins doesn't stop there--she also gives us Sam and his feelings for the Amish girl Summer. This addition merely strengthens the story, enriching it with multiple arcs which provide texture and quite a few surprise twist'n'turns. The complex dramas revealed combined with the tense pacing made for quite an exhilarating reading experience. I enjoyed Temptation and loved Belonging. The life of the Amish is fascinating and scary for outsiders like myself and the portrait this series portrays is elegant and respectful. I'm anxiously awaiting the next book. The cover for Temptation displays the newness of first love, captures the feel of the story. I really like it and find it romantic. 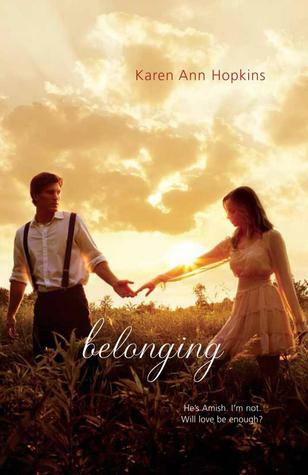 I LOVE the cover of Belonging, the way their hands aren't touching, there's that amount of space between them. Perfection. Enter for the chance to win a signed copy of Belonging. I think you would have to be very brave to do that but it would also be an exciting adventure. I don't think I would. I don't think anyone should give up who they are and where they come from for love. if the person you love expects that of you, they really don't love you. thankful my husband didn't expect me to give up my identity for him, I think I would have walked away.